Regal Pool and Spa is one of the top 50 builders when it comes to custom pool installation. We have received several awards for their designs. In 2014 and 2015 Regal won the World’s Greatest Pool award by Pebble Technology. We also got several Best Pool awards in 2018 in many different design categories. We have won awards from the International Awards of Excellence and awards from the Association of Pool and Spa Professionals. There were several best in show awards in 2017 for the pool and spa designs that have been featured in luxury magazines all around the world. Regal Pool and Design was opened in 2008 and since that time has been providing high-quality customer service. The owner, John Buzzell got the idea from clients in the business stating that there were no good pool design companies in the area. He knew there was a need in the market and went to work to fulfill the needs that customer had. He went to work with construction and design personnel, and they developed Regal. We only work with expert’s craftsman to make a design that are like no other. The designs of the pool are custom, and the customer service is second to do. We work with only the best contractors that are highly trained. It is a team effort from the design process to the installation of the pool or spa. Regal has won several awards and they are proud to provide our customers with luxury designs. In addition to installing and designing new pools, Regal can perform pool repair and maintenance services. We will replace or remodel existing pools and spa to get give you exactly what you are looking for. We are fully licensed to perform the installation and maintenance services in the state of Texas. We want to make sure that the pools stay looking great. There are different services packages to choose from to upkeep the pool or the spa. Our pool technicians can come to the home on a weekly basis and perform chemical tests and brushing services. We will test the chemical levels in the water and make adjustments as needed to make sure the pH levels are balanced. We will also clean off the steps, benches, and the pool walls. The skinner and the cleaners will be emptied. The filter of the pool will be checked, and backwashing services will be performed as needed. All the pool equipment will be checked, and repairs will be made if needed. You can also get a weekly full-service package on their pool. Our technicians will clean the pool and check the chemical levels as well. The pool will be cleaned, and the bottom will be vacuumed. The skimmers will be cleaned, and the filter will be backwashed. All the equipment will be inspected as well to make sure it is working properly. There are some other services that can be performed as needed. Repairs are made on equipment. Salt water conversions are made if you decide that you want a saltwater pool. Our cleaners will remove scale off of the tile and stones. We can even install pumps that are energy efficient. These pumps will not require as much energy to operate. You can love your pool but may not love the cracks and stains on the floor of the pool. The tile may be cracking and in need of replacement. If you are looking to update your pool or if the pool is in need of repairs you can contact Regal for new designs and bring life back to the pool. There is some renovation that will make the pool look great. A simple update can give the pool a whole new look. The pool can be resurfaced with a pebble based finish. This will add a touch of luxury to the pool and make it look great. If the deck material is changed that surrounds the pool it can also give it a new look. Some popular materials that are used in this include stamped concrete, flagstone, and pavers. If the pool has a tile side that has become stained or looks outdated, our pool installers can replace the tile. This will give the pool an updated look and make it look great again. As the pool ages, the equipment may become old. Not only does this look unsightly the equipment may not clean the pool as it should. Replacing or repairing this equipment will keep the pool clean. There are also new advances in the equipment. The equipment that is made is more energy efficient and will require less power to operate. Existing pools can be updated as well. There are many things that will give the pool a great look such as adding water features. A rock waterfall or grotto can add a touch of class to the pool. Slides and diving boards will give the pool a new look and allow to have you some more fun when you are swimming in your pool. Regal Pool and Design will work with you to help you design a custom pool or spa for your home. We are always looking to push the limits when it comes to the design of pools and is always looking for something new and exciting to do. We want to use the natural beauty of the backyard to add to the pool. 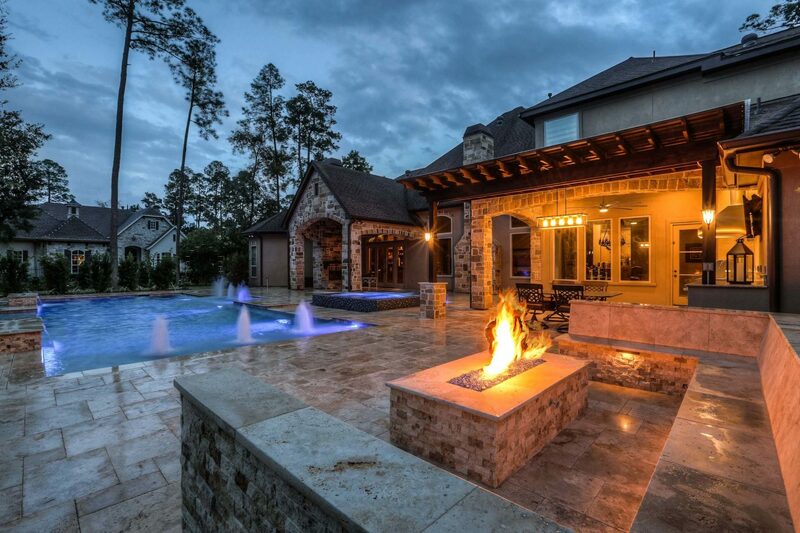 We can incorporate fireplaces, outdoor kitchens, and other features of the yard into the design of the pools. We pay attention to even the smallest details so you can get exactly what you are looking for. Each pool is designed to fit the needs and the likes of each homeowner. No two pools are the same. Our designers will meet with you and will talk about different design options. You will get a no obligation consultation so you can talk about what you are looking for in the pool. One of our experienced designer will come to the home and examine the backyard as well. We will be able to use this to come up with the perfect design. We will use special 3D software to make the design of the pool. You will be able to see the design of your custom pool before any work begins. The pools are built to last and you will be able to enjoy your pool or the new features that have been added to the pool for many years. Pebble tec is one of the leading brands of pebble pool finish. You will be able to select from over 18 colors and their pool will have a natural look and design. This is one of the most request pool services. This surface is stain resistant and there is a no slip texture. You will not have to worry about slipping and falling on this surface. The surface is also low maintenance and it is easy to take care of. When you get this finish it will applied by one of our technicians that is skilled and licensed in Pebble Technology. This will ensure that you get a quality job that will last for many years to come. This pool finish allow you to select from a number of different designs. You can mix colors and have some unique patterns installed. The pebble tec will blend in perfectly with the landscaping of the yard and any water features of the pool. The colors of the pebble tec have a natural elegance. The sunlight will be able to reflect off the finish and shine in the water. This will add additional beauty to an already get looking pool. There are many colors to choose from. You can choose from different shades or black, blues, and purples. There are also several shades of red and green color patterns to select from. You can find the colors that look best with your chosen design. This is a brand of pool finish that has natural beauty and is durable. It can stand up to heavy foot traffic and will last for a long period of time. this design is elegant, stain resistant, and has a natural beauty to it. Pebble Sheen has a textured feel and it looks like real granite. You will not have to worry about the surface getting stained due to the finish. The Pebble Sheen comes in 16 different colors. All of the colors are bright and brilliant. Some of the colors include seashell pieces as well as glitter. This will add some sparkle to the natural finish. The same technology that goes into Pebble Tec is used when designing and installing Pebble Sheen. The only difference is the pebbles that are used in this finish are smaller. The Pebble Tec still need to be installed by a licensed Pebble Technology contractor so it will come out looking great. If you are looking to add a new design to your pool this is the style that they want to do with. This style will allow the swimming pool design to be taken to a new level. There is style and art that can be used to help decorate the pool. There are many different colors that the Pebble Sheen can come in. They include deep blacks, grey, and even a desert gold color. You will be able to see how they look next to the water. Ledge lounges will allow you to sit next to the water and enjoy the look of your pool. 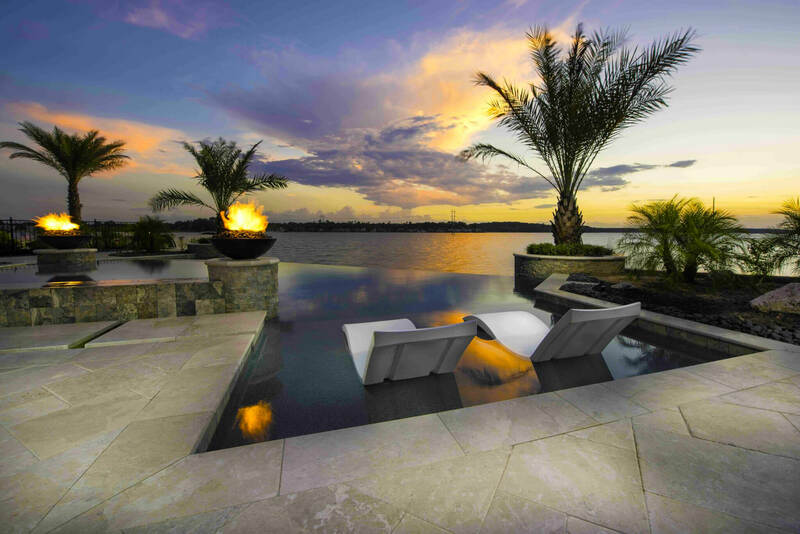 These loungers can be installed right into the water. You can sit back and relax. You can dip your toes into the pool or you can splash around without getting your full body wet. The loungers are designed to be used in water up to 9 inches in depth. For most people, this is often the very beginning section of their pool. The ledges come in sets of two. They include a headrest pillow so that you can sit back and enjoy the sun. You also enjoy your pool without becoming fully submerged in the water. There are different shapes and designs that you can select from. All the loungers will be shipped quickly so that you can use them right away. There are also lounger pillow packages that can be purchased. This will allows you to lay down and get comfortable while sitting near their pool. You can also get any accessories that you need to help you enjoy your time that is spent by the pool. There are different couches and multi-seat loungers that you can sit on. You will be able to get tables and other items so that you can set all of your goods down. These items will allow you to sit by the pool and you will be able to relax. Regal Pool Design serves the people of Spring, Texas. The population of this town is approximately 54,000 people. According to information from the United States Census, the town is 23.6 square miles. The climate has summers that are hot and humid. The winters are generally mild, but they can have times when they get cool. During the springtime, the weather is subtropical and hot. 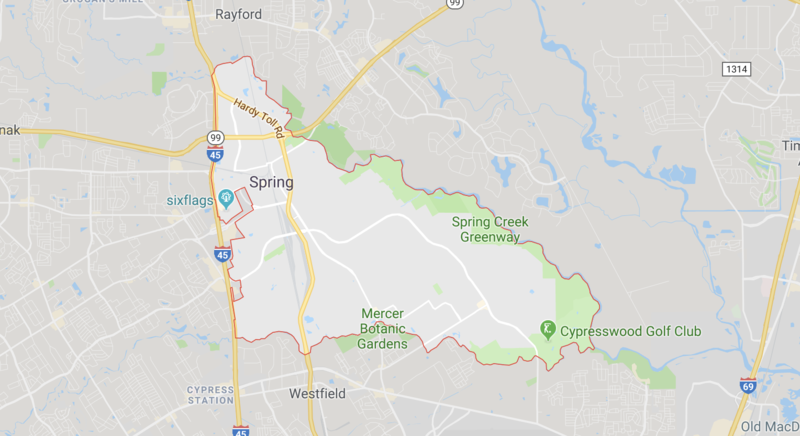 The town of Spring was first settled by the Orcoquiza Native American Tribe. When the town was settled in 1838 there was a trading post set up here and the town became known as Spring Creek. Many people moved into this area after the Louisiana purchase and many German immigrants called this town home. With the invention of the railroad and expansion, more and more people decided to move to Spring. The population began to increase over the years. By 1947 there were only 700 residents in this town. A shopping area was opened which attracted people to this town. There are more to do and there were plenty of jobs. People now come to Spring for the weather. They can get home and enjoy the heat without the town being overcrowded. The average household income for this town is just over $56,000 and most of the people work hard. When they come home, they want to enjoy the sun and relax. This is the perfect weather to take a dip and cool down in the pool. Outside of these areas? Great chance we can still provide our full-line of services in your area. Reach out to us. If you are would like to schedule a consultation with our pool design team or you would like more information regarding new pool construction, pool renovation, pool service, water features or outdoor living spaces from Regal Pool Designs, please feel free to contact us directly by email, by calling 281-251-0044 or complete the form below. Reason for contacting us?New pool design & build.Renovations to a current pool and/or spa.Pool service or repair.Other. Use comments / questions / instructions text box below. Website and Marketing by Pool Builder Lead Rocket.